1. Geranium essential oil- It has antibacterial properties and hence minimizes the body odour. Geranium oil treats acne, is helpful in healing cuts and wounds, has regenerative​ properties… It also works as an insect repellent and is an anti inflammatory agent! 2. 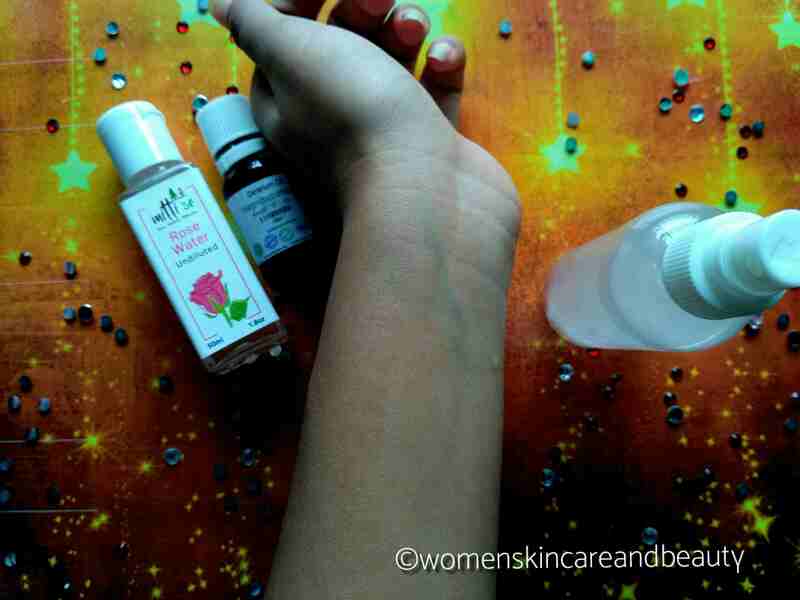 Rose Water- It maintains skin’s pH, has anti bacterial and anti inflammatory properties and hydrates the skin.. It also helps in healing cuts and broken skin and aids in cell regeneration. 1. Take a clean and dry 100ml spray bottle. 2. 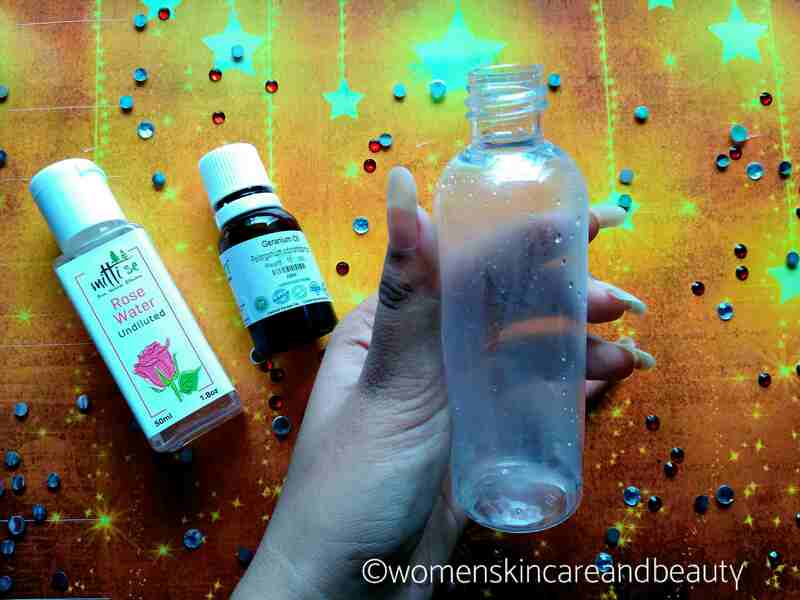 Pour about 10-15ml of undiluted, pure rose water into the bottle. 3. Add 40-50 drops of Geranium essential oil into the bottle. 4. Fill the bottle with 50ml of water. 5. Shake well and TADAA! You can spray it as many times you want and can even increase the concentration of the geranium oil in it for a stronger fragrance. P.S.– It might not be able to control excessive body odour. 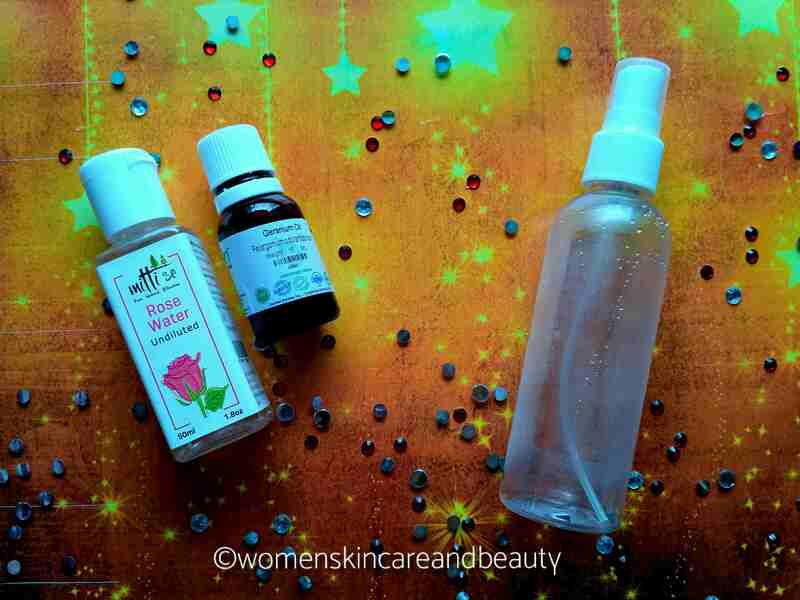 IMPORTANT: Shake the bottle well before every use as Natural ingredients tend to separate. It’s a wonderful idea to make your own deo. It doesn’t even cause any allergies on the skin or allows any rashes to sit on it. What a fantastic DIY you have out up here. worth trying at home. I can imagine how wonderful the deodorant might be smelling. Thanks for auch a nice DIY. Wow, this is a really good idea! I’m going to try it real soon and get back to you! What a super cool yet super simple idea! This something really interesting. Will try by myself. I remember making my own spray in San Francisco in a workshop. It was very exciting to play with different essential oils. This sounds good. Will try this at home. wow!! Never knew such things could be made at home that too so easily, This looks wonderful. I’m a huge sucker for DIY stuff and a DIY deodorant is something that is so unique. I’m definitely going to try this soon. Never knew we could make deos at home and that also with so much ease. Thanks for this great idea!!! Where shall I find Geranium?? Geranium essential oil is easily available online, on Amazon and nykaa! 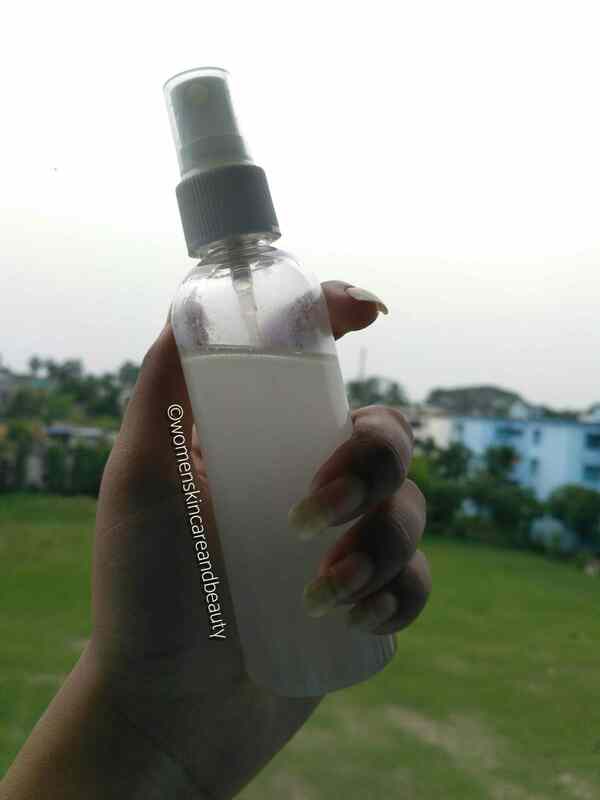 Thie DIY deodorant / body spray sounds quite good and really easy to make. This is so cool and simple. Will try it out. Perfect for using on kids too! Yes.. it is completely safe! 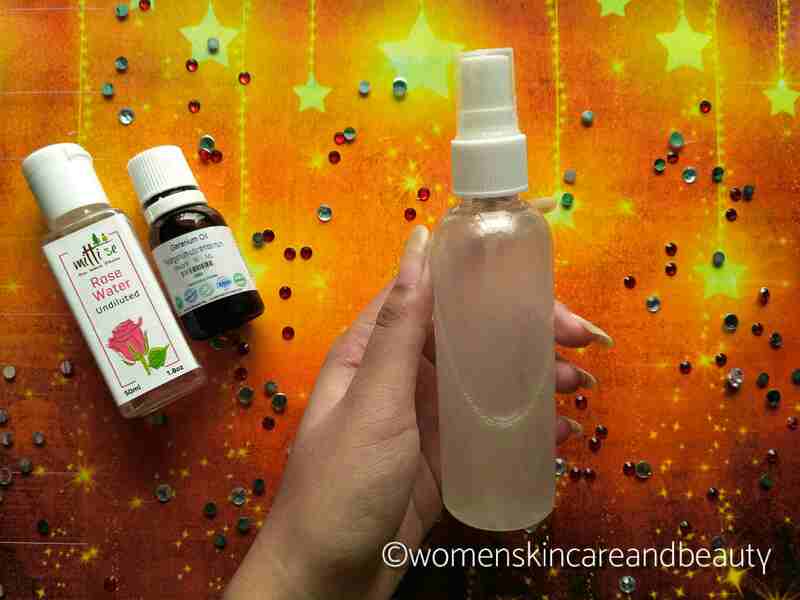 This is truly amazing… thanks for sharing this easy to make at home rose spray.